Locality: United States, Colorado, Fremont, Wet Mountains, Wet Mountain Valley, Sangre de Cristo Range, and Vicinity: Sangre de Cristo Range: Spring Gulch and near highway. 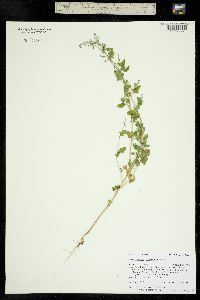 Habitat: Canyon bottom and sides. Elev. 6,800-7,600 ft.